Home » The Best Things In Life Are Free…Or Maybe Not! The Best Things In Life Are Free…Or Maybe Not! Every so often life hands you something wonderful — at no charge. It may be as simple as change found on the sidewalk, or furniture left in a home you’ve purchased. (If you’re really lucky, money found in the walls! But sometimes that same find, if made public, starts all sorts of havoc.) 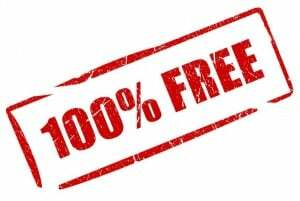 If it’s free…should you take it? yes and no. At the most basic level, do you have the money, time and energy to feed and care for it? Are you willing to clean up accidents late some night, when you’re tired and not feeling well yourself? (Because it will happen.) Do you have the money for vet checkups? Not everyone can afford cancer treatments or major surgery for their pets — but this is one gray area that you can sadly avoid by humanely putting your pet down. Our dogs and cats over the years have given us companionship, protection and love. Some cost money. (Like our Charley and Daughter’s black dog Jack, below, who both came from shelters.) Some were free. I would keep each of them again – but we also learned to ask a lot more questions from the get-go about age, health and their basic needs. Have you been walking by a neighbor’s pear or apple tree over the past few months and watching fruit collect underneath? Stop by and ask to ‘clean up;’ they may well say yes, particularly if you add a pie or pot of jam into the offer. Even sour fruit, like crab apples and wild plums, make excellent syrup and jelly. Peaches literally can be washed and put right into freezer bags; apples and citrus keep for months in your vegetable crisper. No drawbacks here, if you scrub everything well – and it makes for a comfortable surplus for winter. Our neighbors regularly unload zucchini and squash on us. That’s ok – we love it sliced, dipped in cornmeal and egg, and fried, southern-style. In return, I’ll drop off a batch of cookies, or an extra loaf of bread snagged from the thrift shop. Makes us both happy…and gives us a stronger connection as friends, even if we live next door to each other. Once you find a free source, or a neighborhood with good stuff out on the curb (especially a high-income area), visit it regularly. More may well be available in the future! Ask politely, smile – and always give back in return, even if that just means repurposing something meant for the landfill. But don’t take it for granted – these are, after all, gifts. And fine ones, at that. What’s the best free thing you’ve ever found, or been given?